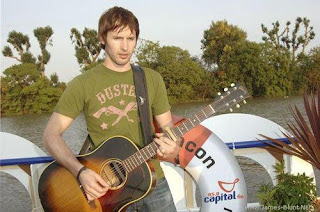 JAMES BLUNT RETURNS WITH "ALL THE LOST SOULS"
"For me, there was absolutely no pressure whatsoever," says Blunt. "Having sold over 11 million albums, I know that the likelihood of doing that again is really minimal. Instead of setting that as a target, I set out to do and record something that I really enjoy, that I'm really happy with. It was a release, in a way. It's something that I can say shows my growth and a development as a songwriter and as a musician, shows development in my own life, and records and documents it in that way." El cantante británico James Blunt lanzará como sencillo promocional de dicho disco el tema “1973” y que empezará a sonar a nivel mundial en todas las emisoras de radio a partir del 23 de julio. Bueno, solo habrá que esperar hasta 1 semana para saber que tal pinta el tema promocional de James Blunt, y si el artista con este nuevo disco logrará debutar en ventas como lo hizo con su anterior álbum.